Below you fill find all funeral homes and cemeteries in or near Miami Beach. Popular neighborhoods in Miami Beach include: Fisher Island, South Beach, Little Buenos Aires, Palm Island, Bayshore, Normandy Shores, Alton Road, Biscayne Point, Collins Park, Flamingo Park, Flamingo Park West, La Gorce Island, La Gorce PineTree, Orchard Park, Lincoln West, Nautilus, Normandy Fountain, Normandie Sud, North Bay Road – Lower, and North Bay Road - Middle. Suburbs of Miami Beach: ay Harbor Islands, Carl Fisher, Ind Crk Vlg, Indian Creek, Indian Creek Village, Normandy, Normandy Isle, North Bay Village, North Bay Vlg, Sunset Island, Surfside, Venetian Islands. 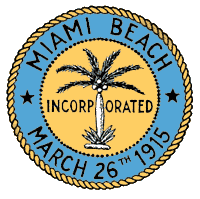 Miami Beach is also known as: Miami-Dade County / Miami Beach city and MIAMI BEACH, Fla..
Their current mayor is Mayor Philip Levine. Zip codes in the city: 33109, 33119, 33139, 33140, 33141, 33154, 33239. Miami-Dade County funeral flowers can be purchased from one of the local funeral shops we partner with. There are currently 8 funeral options for this city. 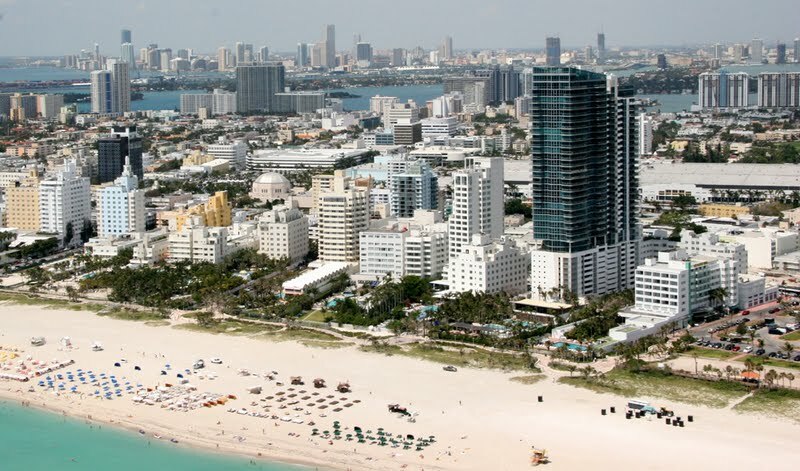 Miami Beach has been featured in films like: Midnight Cowboy (1969), Scarface (1983), and Monica & David (2009). Some of the notable people born here have been: Brett Ratner (film director and film producer), Juliet Huddy (talk show host and tv journalist), Cheryl Hines (actor and television producer), Laila Ali (professional boxer and athlete), Irene Marie (businessperson and entrepreneur), Alex Fernandez (baseball player), and Neil Clabo (american football player). Miami Beach is a coastal resort city in Miami-Dade County, Florida, United States. It was incorporated on March 26, 1915. The municipality is located on a variety of natural and man-made barrier islands between the Atlantic Ocean and Biscayne Bay, the latter of which separates the Beach from Miami. The neighborhood of South Beach, comprising the southernmost 2.5 square miles (6.5 km2) of Miami Beach, along with downtown Miami and the Port of Miami, collectively form the commercial center of South Florida. As of the 2010 census, Miami Beach had a total population of 87,779. It has been one of America's pre-eminent beach resorts since the early 20th century.In 1979, Miami Beach's Art Deco Historic District was listed on the National Register of Historic Places. The Art Deco District is the largest collection of Art Deco architecture in the world and comprises hundreds of hotels, apartments and other structures erected between 1923 and 1943. Mediterranean, Streamline Moderne and Art Deco are all represented in the District. The Historic District is bounded by the Atlantic Ocean on the East, Lenox Court on the West, 6th Street on the South and Dade Boulevard along the Collins Canal to the North. The movement to preserve the Art Deco District's architectural heritage was led by former interior designer Barbara Capitman, who now has a street in the District named in her honor. It was written on December 23rd, 2018 that Michael Thomas "Mike" Dorsey passed away in Miami Beach, Florida. Dorsey was 79 years old and was born in Washington, DC. Send flowers to express your sympathy and honor Michael Thomas "Mike"'s life. It was revealed on December 13th, 2018 that Michael Shaffer passed on in Miami Beach, Florida. Shaffer was 41 years old and was born in Ashland, KY. Send flowers to express your sympathy and honor Michael's life. It was noted on June 17th, 2018 that Bryan Elliott Leas perished in Miami Beach, Florida. Leas was 55 years old. Send flowers to share your condolences and honor Bryan Elliott's life. It was revealed by The Daily Herald on May 1st, 2018 that Mary Susan Twomey (Kelly) died in Palatine, Illinois. Ms. Twomey was 67 years old and was born in Miami Beach, FL. Send flowers to share your condolences and honor Mary Susan's life. It was noted on January 31st, 2018 that Sandra Wright (Hanna) passed on in White Sulphur Springs, West Virginia. Ms. Wright was 68 years old and was born in Miami Beach, FL. Send flowers to express your sympathy and honor Sandra's life. It was revealed by Mountain Messenger on January 30th, 2018 that Sandra Wright (Hanna) died in White Sulphur Springs, West Virginia. Ms. Wright was 68 years old and was born in Miami Beach, FL. Send flowers to share your condolences and honor Sandra's life. It was written on December 10th, 2017 that Ernesto Ricardo Gregorio Espiritu perished in Miami Beach, Florida. Espiritu was 83 years old. Send flowers to express your sympathy and honor Ernesto Ricardo Gregorio's life. It was disclosed by The Desert Sun on November 8th, 2017 that Barbara E Kristal passed away in Rancho Mirage, California. Kristal was 72 years old and was born in Miami Beach, FL. Send flowers to express your sorrow and honor Barbara E's life. It was written on September 3rd, 2017 that Francis Patrick "Frank" Maguire passed away in Miami Beach, Florida. Maguire was 75 years old. Send flowers to express your sympathy and honor Francis Patrick "Frank"'s life. It was revealed on August 20th, 2017 that Francis Patrick Maguire passed away in Miami Beach, Florida. Maguire was 75 years old and was born in Long Island, NY. Send flowers to share your condolences and honor Francis Patrick's life. The city was incorporated on 26 March, 1915. Miami Beach is a city in Miami-Dade County, Florida County, Florida, United States. . . . The official website for the city of Miami Beach is http://www.miamibeachfl.gov. Funerals in Miami Beach, FL on Yahoo! Local Get Ratings & Reviews on Funerals with Photos, Maps, Driving Directions and more. Funerals in North Miami Beach, FL on Yahoo! Local Get Ratings & Reviews on Funerals with Photos, Maps, Driving Directions and more. Find BBB Accredited Funeral Services near Miami, FL - your guide to trusted Miami, FL Funeral Services, recommended and BBB Accredited businesses. We work with local florists and flower shops to offer same day delivery. You will find budget sympathy flowers in Miami Beach here. Our funeral flowers are cheap in price but not in value. Should You Buy Artificial Funeral Flowers?